Great service starts with a great team, and we believe you’ll find our staff to be exceptional. They’re not only wonderfully warm and friendly, but also extremely competent, offering their expertise and talents after years of dedication. We feel very fortunate to have such a quality team and think you’ll notice the difference from the moment you walk in the door. Come see for yourself, and meet some of the best people on earth! Lyn has been a guiding influence of our practice for 32 years. A graduate of the University of Tennessee Knoxville, she has taken many hours in practice management and has a wealth of knowledge about dental insurance benefits. She loves spending time with family and taking care of their home. She grew up riding Gaited Horses, and this has been a life-long love, as is caring for all types of animals. Currently, she loves CrossFit and rarely misses the daily workout of the day. Diana is the first cheerful voice you hear when you contact the office. She helps run the business office and has been a valuable asset to us with her communication and management skills for five years. She and her husband have two children and four grandsons. She loves to read and spend time as a family. 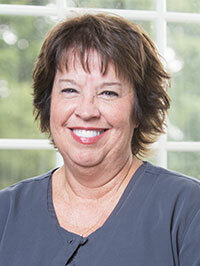 A member of our practice for nine years, Sharon has been in the dental field for 18 years. She also spent her first nine years in pediatric dentistry, after graduating with a bachelor’s degree in organization management from Tusculum College. 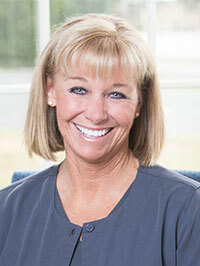 She enjoys helping Dr. Leach transform smiles and learning state-of-the-art techniques on a regular basis, and in her spare time you can find her reading, listening to music, and spending time with family and friends. 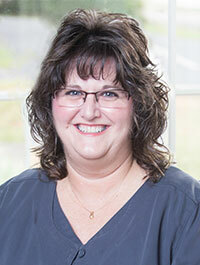 Buffy has been with the practice for 15 years. 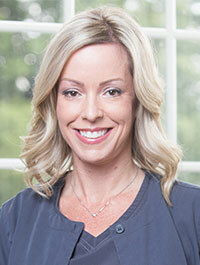 She graduated from the East Tennessee State Dental Hygiene program and started her career in pediatric dentistry, doing that for seven years before joining Dr. Leach. She enjoys spending time with her husband and two boys. They love camping and spending time on the lake. Her boys are active in playing basketball and trap shooting. 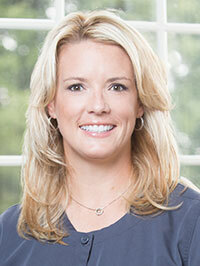 Pollie graduated from Carson Newman College and East Tennessee State University with a degree in dental hygiene. She is also certified in local anesthesia and nitrous oxide. A member of our team for 8 years, Pollie has been married to her high school sweetheart for over 20 years. They have two sons and love spending time with them on the lake and attending Tennessee football games. Pollie also loves to read, exercise, decorate, and entertain. Our talented team members bring years of combined dental experience to our ultra-modern office. Schedule a visit today at (423) 586-3432 to experience our team first hand.